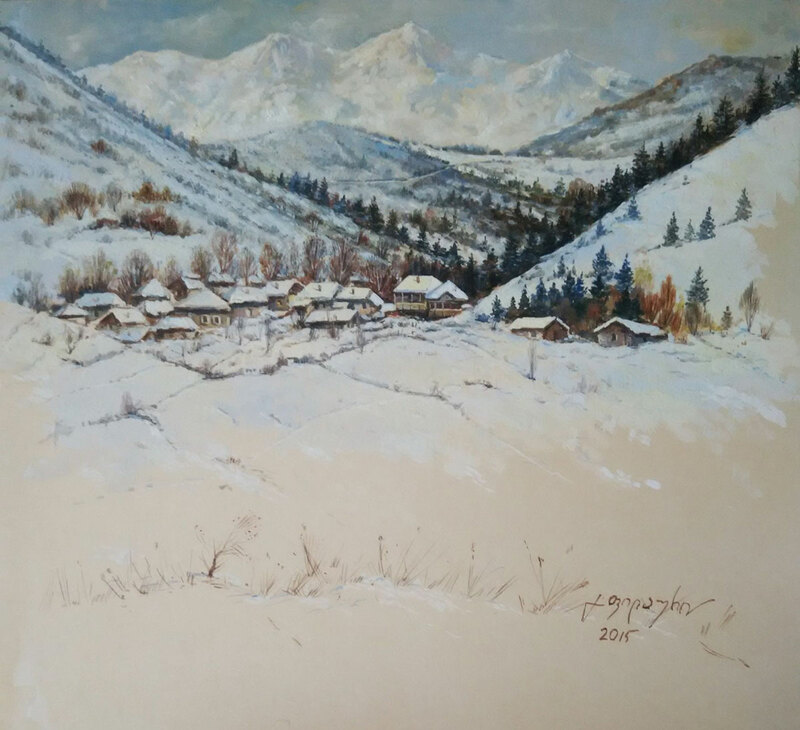 1.Svaneti, 2016 aquarelle on paper 50x70 cm., US$ 5,200.00. 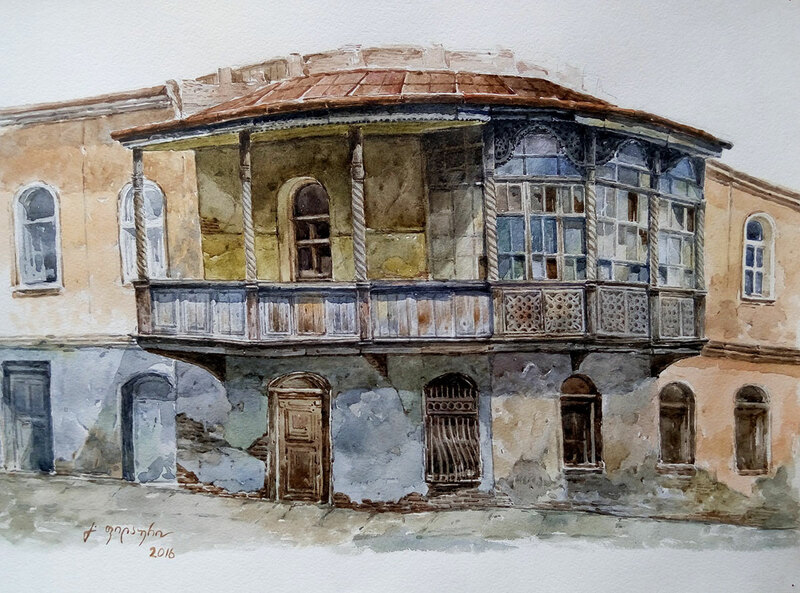 2.Old house, 2016 aquarelle on paper 30x42 cm., US$ 1,800.00. 3.Shatili, 2016 gauche and aquarelle on paper 36x49 cm., US$ 3,700. 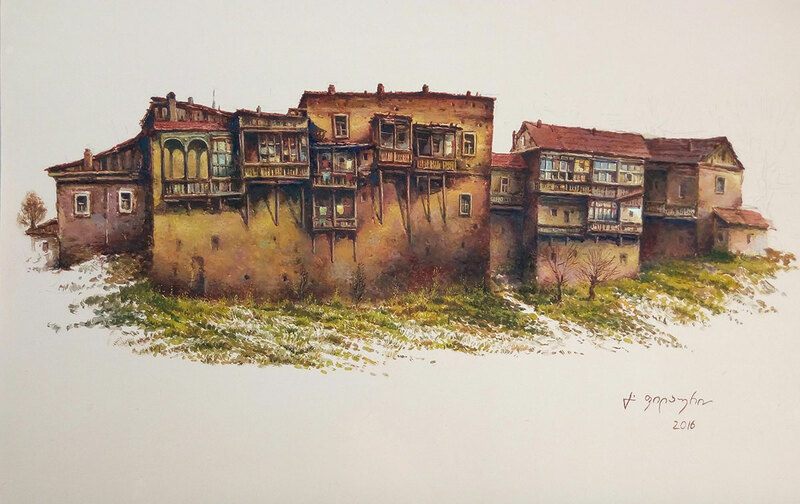 4.Old houses near Metekhi, 2016 gauche and aquarelle on paper 35x53 cm., US$ 3,800. 5.Old houses, 2016 gauche and aquarelle on paper 35x53 cm., US$ 2,800.00. 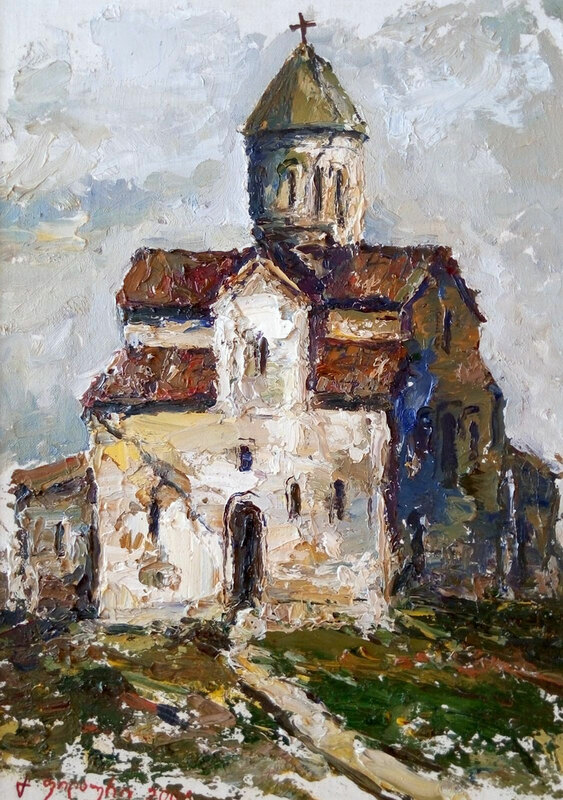 6.Old Church, 2006 oil on canvas 28x20 cm., US$ 1,200.00. 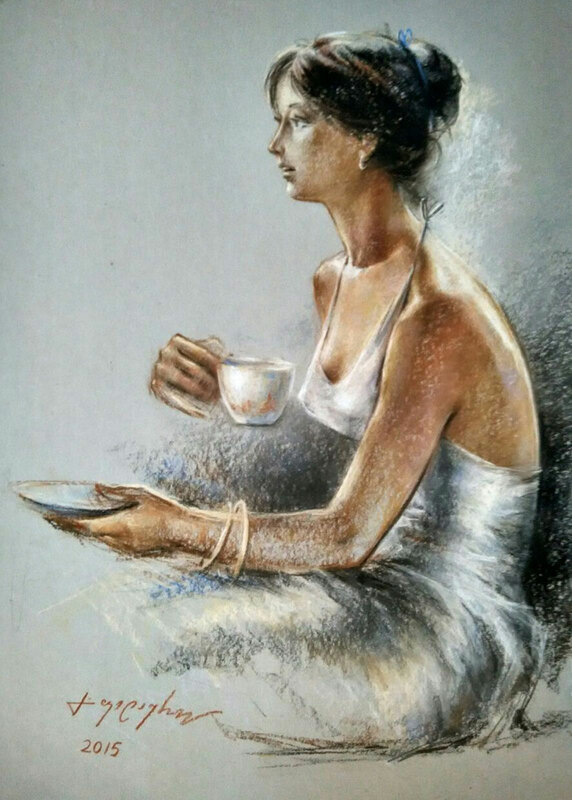 7.Morning, 2015 pastel on paper 50x70 cm., US$ 3,500.00. 8.Liakhvian-canyon, 2015 gauche and aquarelle on paper 26x30 cm., US$ 2,500.00. 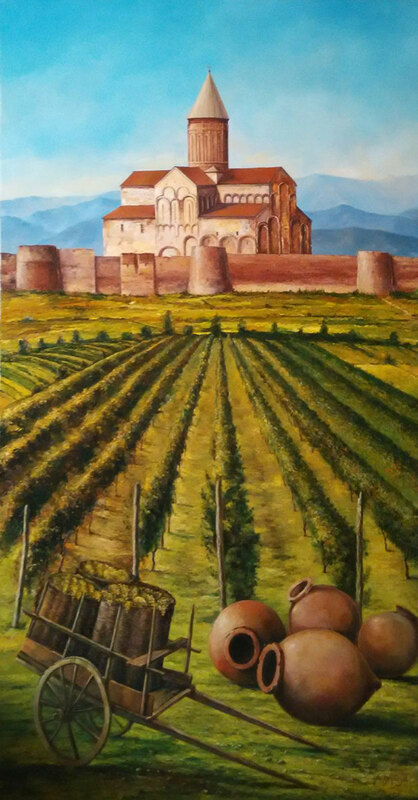 9.Alaverdi, 2016 oil on canvas 180x85 cm., US$ 12,000.00. 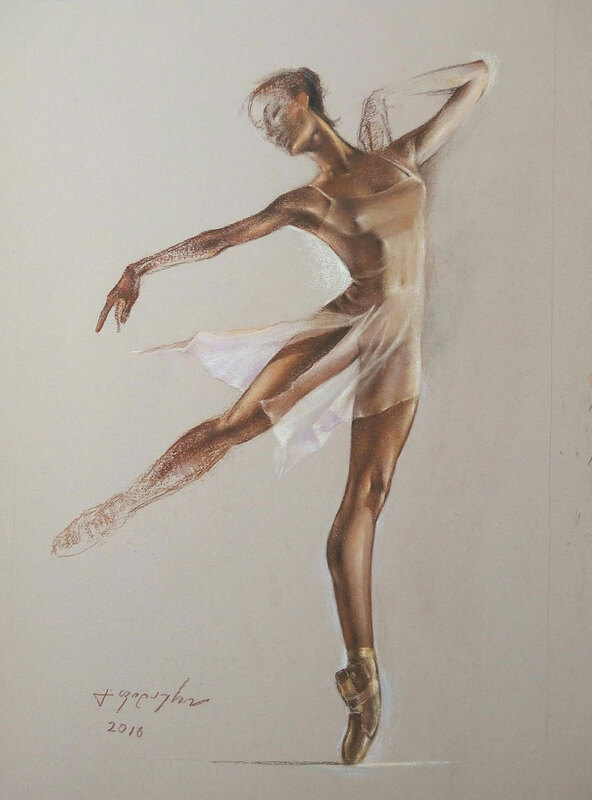 10.Ballerina, 2016 pastel on paper 62x40 cm., US$ 3,200.00. 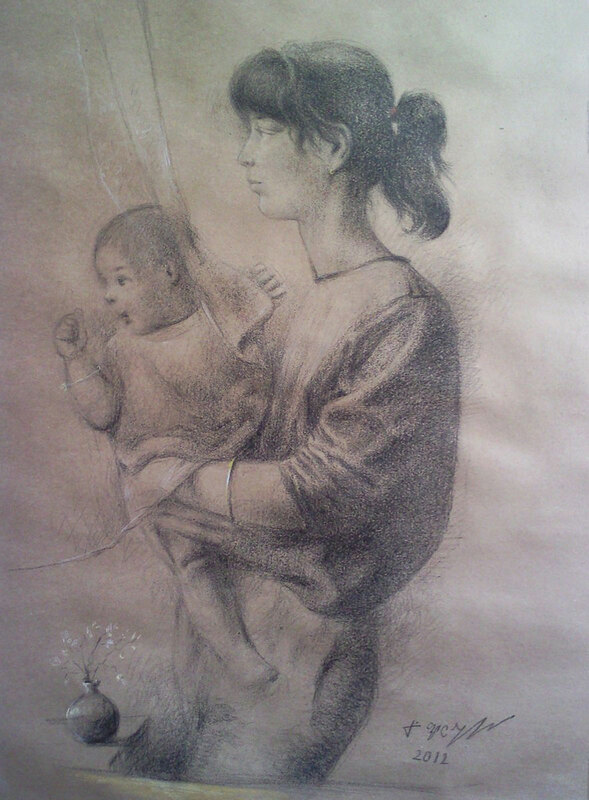 11.Mother and child, 2012 pastel on paper 70x50 cm., US$ 4,500.00. 12.YWandering Violinist, 2013 gauche and aquarelle on paper 55x40 cm., US$ 6,200.00. Date of Birth: May 8, 1961. 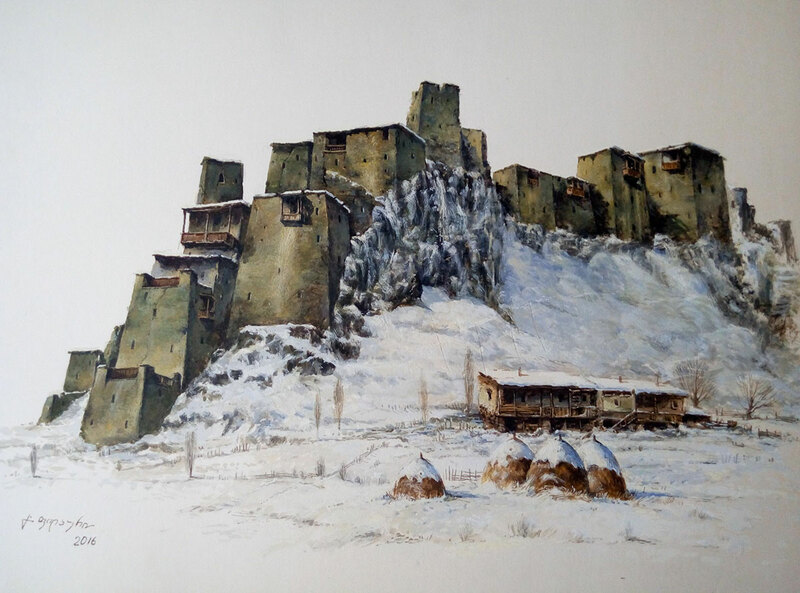 | Place of Birth: Gori, Georgia. Education: M. S. Tuganov Arts professional School, Tskhinvali (1976 - 1980). Singe 1986 - member of USSR Young Artists Union. Since 2012 - member of Georgian Artists Union. 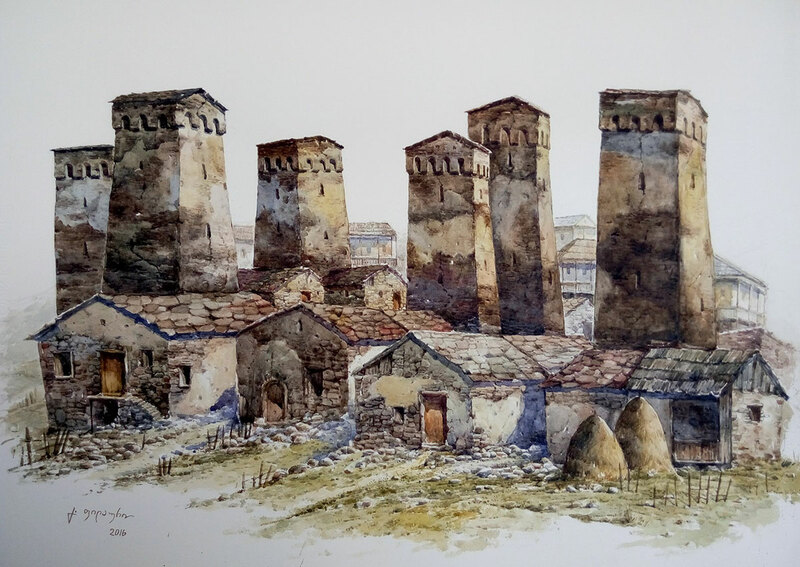 Singe 2015 - member of IWS (International Watercolor Society) Georgia. singe 2000 - periodic cooperation with private publishing houses, artist - illustrator. The Academy of Arts, Leningrad, Russia. Exhibition, dedicated to the work of l.N.Tolstoy, Iasnaya Poliana, Russia. 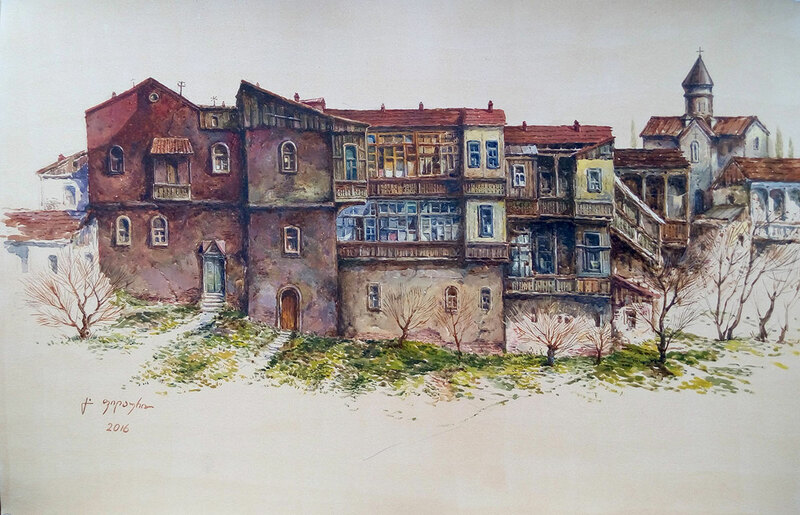 Exhibition of modern georgian artists, Cultural Center of the Armenian Diocese in Georgia “Hayartun”, Tbilisi, Georgia. Exhibition-selling «Spring», The Folklore State Centre of Georgia, Tbilisi, Georgia. 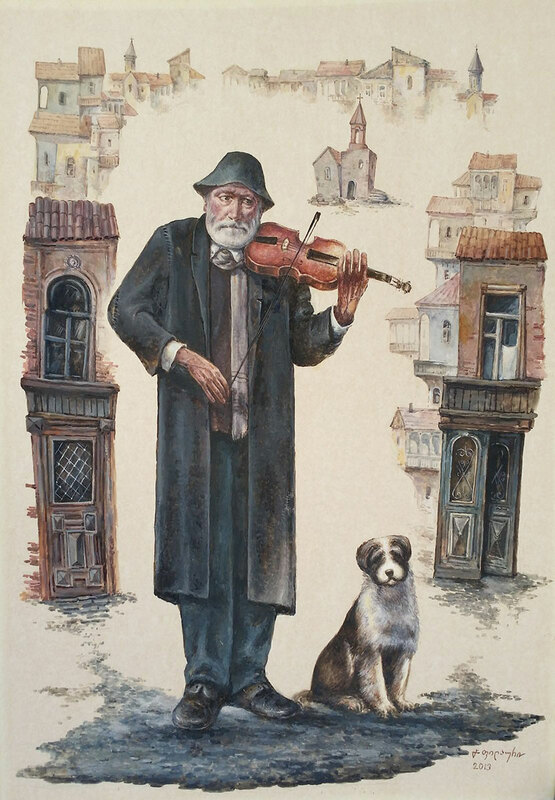 Exhibition «Watercolor in Georgia», Tapestry Museum of Tbilisi State Academy of Art, Tbilisi, Georgia. International Watercolor Festival, Palace of Congresses, National Historical Museum, Tirana, Albania. (Saint Michael Special Achievement Gold Medal in REALISM category). Part of the works are in private and public collections in Georgia, Russia, Poland, USA, Japan, Korea, Denmark, Germany, France, Italy and many other countries.